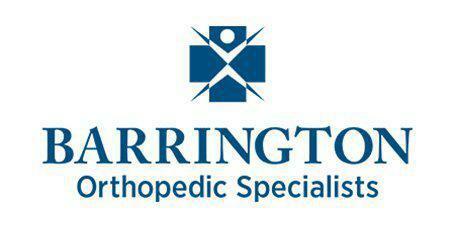 Barrington Orthopedic Specialists always appreciates feedback from our valued patients. To date, we’re thrilled to have collected 1252 reviews with an average rating of 4.82 out of 5 stars. Please read what others are saying about Barrington Orthopedic Specialists below, and as always, we would love to collect your feedback. Very friendly & knowledgeable. Gave me options & made me feel completely comfortable. Dr. Tashima is a specialist who truly listens to your questions, answers professionally but with a plan of action. Tina, the assistant, is very thorough and friendly. I highly recommend this group. Dr Jereb explained everything very well and answered all our questions. Vary professional doctor. Told my friend about her and they are seeing her and said how wonderful she was. Dr. Yaffe spends time with you and doesn’t rush you. Gives you a through explanation. All questions were answered. He was knowledgeable and explained everything so that I understood. Check in was cool with the iPad. Liked doctor Alvi. He helped me with my pain. Great doctor with suggestions to improve mobility! My family and I have been patients of Barrington Orthopedics for more than 15years and we have seen many of the physicians for a variety of injuries/orthopedic issues. We all have received excellent care with professionalism, compassion and sincere attention. I recently received care from Dr. Richard Rabinowitz and my health issue was thankfully, completely resolved. I also received very compassionate care from Dr. Rabinowitz. The day of my last office visit, our much loved family dog had passed away earlier that morning. Despite being very busy, he took the time to talk to me and wasn't just concerned about the health reason for my visit. We have used the walk in clinic with very good results also. This is the only orthopedic practice we use and recommend. Very thorough and knowledgeable. Gave a clear and reasonable path of recovery. I was impressed by the doctor taking time to explain everything . I was impressed with the office and staff who were very courteous and friendly. They still took care of us while being late with our appointment and stayed after hours to make sure we received proper care and also getting a X-ray. The physician spend time explaining and listened to our questions. I would definitely recommend the physician to family and friends. Thank you so much for providing such wonderful service!